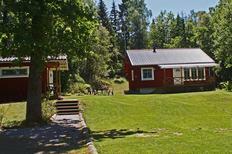 Holiday home for 4 people on a small, secluded island off the Swedish skerry coast. Fishing area close to the holiday house in a converted former water mill for 7 people. 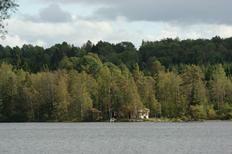 Sweden | The numerous lakes and the skerry coast will make the heart of every angler beat faster. 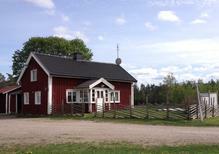 You’ll find angler-friendly holiday accommodation here in Sweden. Sauna of a holiday home for five people in Värmland. Sweden | Travelling together is mostly enjoyable. These holiday houses with at least four bedrooms offer enough room for large families or group of friends. 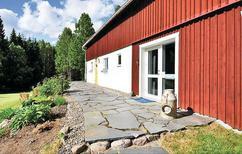 ​Sweden | With these holiday houses it is explicitely allowed to bring pets so that your faithful four legged friend can also enjoy a relaxing and eventful holiday. Vastergotland, also known as West Gothland, is located in the south-west of Sweden. Finding an ideal holiday home in Vastergotland is the key to exploring this brilliant yet underrated European vacation destination. There is truly something for everyone in Vastergotland. The region’s charming landscape invites various recreational activities including hiking, cycling and horse riding. Vastergotland’s many lakes and rivers provide ideal conditions for cruises, boat trips, canoeing and angling. Golf enthusiasts can also sharpen their skills on one of the province’s many golf courses. Gothenburg is the heart of Vastergotland and a perfect hub for establishing a base in a holiday house. Book a holiday rental in Vastergotland and you'll be ready to enjoy this bustling city. Gothenburg is brimming with fine-dining restaurants, museums and historic landmarks that are easily reachable from your holiday house. Visitors can gain some insight into local history by visiting the the Museum of Fine Art and the City Museum. 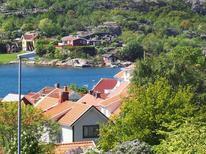 Other places of interest include the Southern Gothenburg Archipelago, a great picnic spot, and the Botanical Garden. If you are travelling with kids then they will love Liseberg Park, one of the most popular amusement parks in the province. Youngsters will also enjoy the Universeum, a children's science museum, and Slottsskogen, which houses several zoological exhibits. Home to Vänern and Vättern, the two largest lakes in Sweden, Vastergotland is an ideal hub for angling. Many fishing enthusiasts are pleasantly surprised by the great opportunities the province offers for this popular sport. 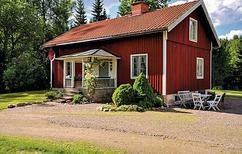 TUIvillas.com is a reliable hub for renting a holiday home in Vastergotland. Whether you want to experience Vastergotland from an apartment or a holiday house, TUIvillas.com is a trustworthy platform providing accommodation to suit all tastes.